Earn $2.60 in Rewards credit. Click to learn more. Shimano's PTFE coated cables are the reference point when it comes to high-performance OEM cables. 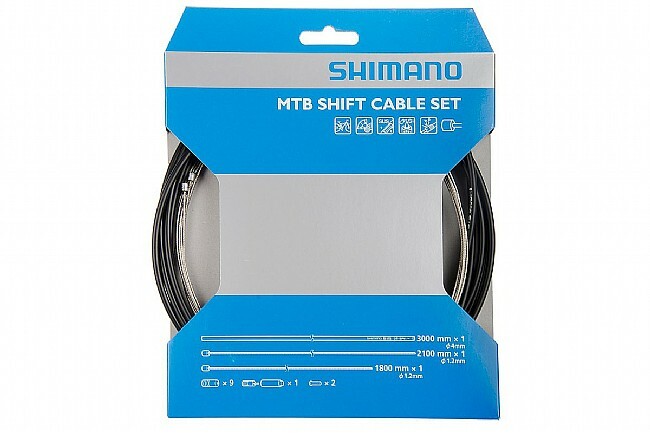 This MTB Shift Cable Set includes everything you need to do away with the dried-out and deteriorated cables and housing that plague a well-ridden mountain bike. The stainless cables features a special PTFE treatment for reduced friction resulting in more efficient performance and longer service life, and factory-greased compressionless housing gives you an extra smooth feel and crisp shifts.